3x3 Custom started by accident. I was searching for an outdoor storage bench and couldn't find anything I liked. So I had a crazy idea to build it myself! 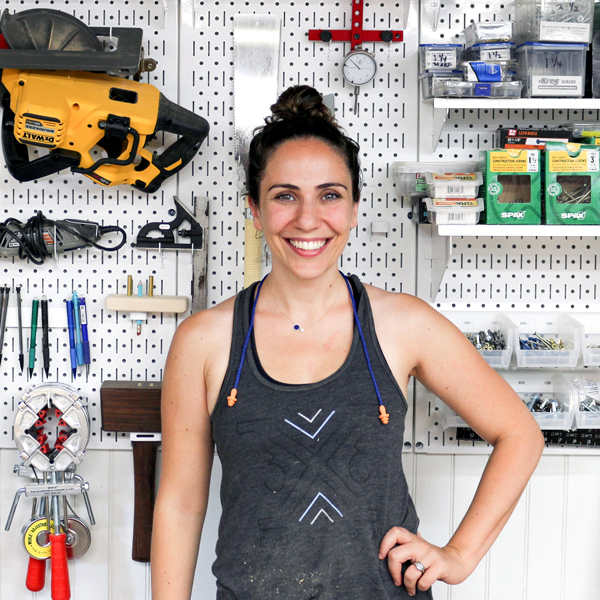 Instantly, I fell in love with power tools, hand tools and everything in between. The name 3x3 (Three by Three) is a reference to the 3 little people who are most important to me, my children, combined with my passion, woodworking. I absolutely love the process of taking ugly rough lumber and transforming it into a unique conversation piece. I also enjoy sharing this process on Instagram. If you want to see me in action, check out my Insta feed and website both linked below! What Wall Control Pegboard Products is Tamar from 3x3 Custom Using?